As soon as we dropped through the clouds I began to regret Googling Akureyri airport. 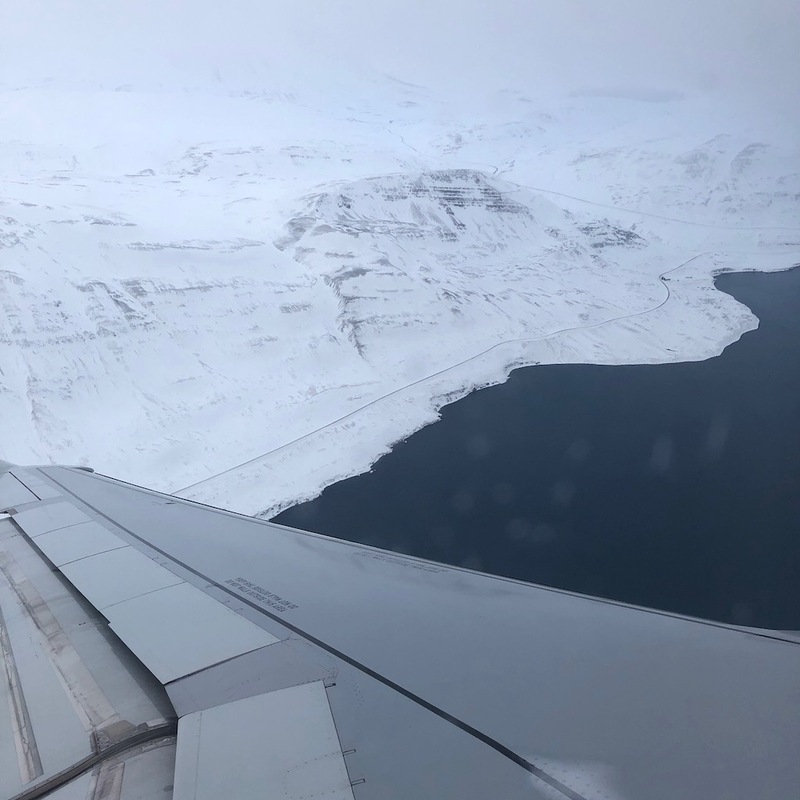 This was because I knew it was only made up of one main building and a single runway that’s surrounded by the waters of Eyjafjörður fjord. Not the best knowledge for this nervous flyer to have at the forefront of her mind, but I still took the window seat as I knew however scared I might get, the view would be amazing. 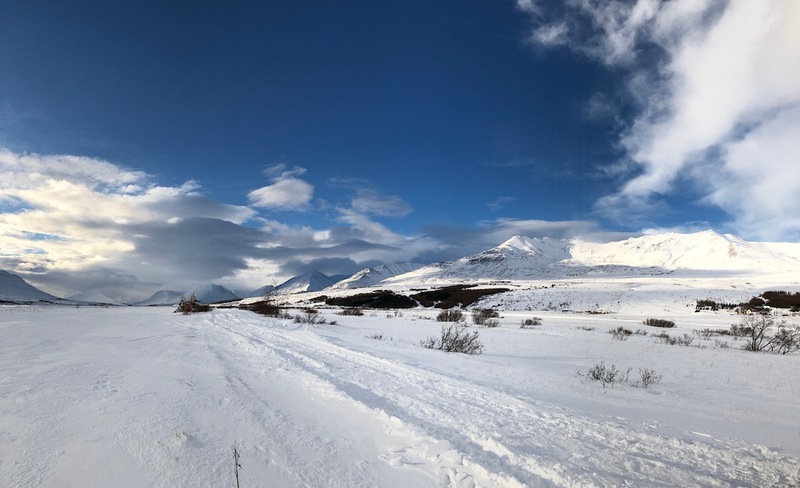 And it didn’t disappoint – I came down through the clouds to be greeted by pure white as far as the eye could see; the fields of snow only broken up by frozen rivers, the occasional house or tree and the bright sun reflecting back off the ice. The view was jaw dropping and as we came closer to landing we levelled with the mountains either side of the fjord before dropping down over the water. Looking directly below I couldn’t see any land at all, but with a sudden thud I knew we’d safely hit the ground and let out the big breath I hadn’t been aware I’d been holding. I’d wanted to visit for so many years and finally I was here. The land of fire and ice. Would it be everything I’d imagined? My trip to Akureyri had actually been pretty unplanned, making it something even more special. Money had been set aside for a ‘Northern Lights’ trip and we’d been considering Norway, Finland and Iceland. 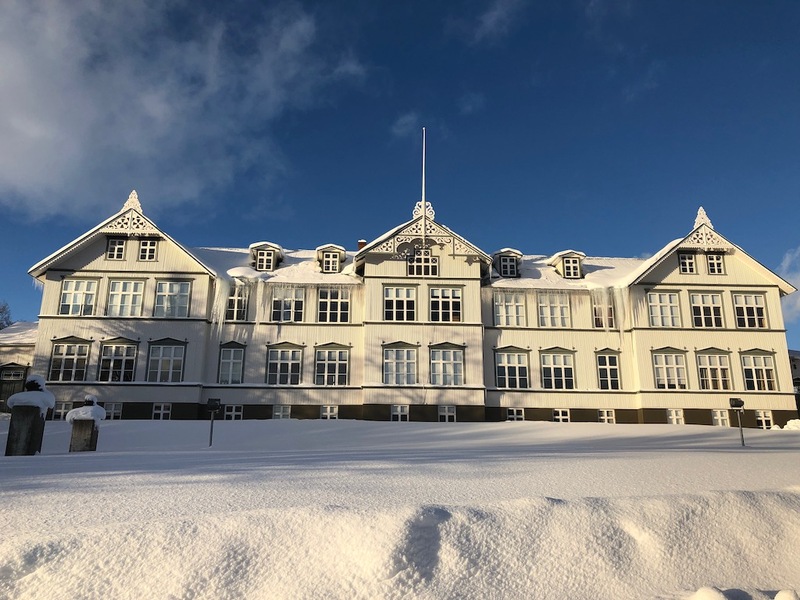 Out of the blue one of our travel agent friends got in touch to let us know about an amazing deal to visit Akureyri in just a few weeks time. For just £350 per person the trip included four nights self-board accommodation, flights and two tours. I’d never heard of the town before but already I was sold. In truth the fact that was Akureyri was foreign to me made the trip even more exciting. I love going to the more unknown destinations and I felt like an intrepid explorer visiting undiscovered lands. 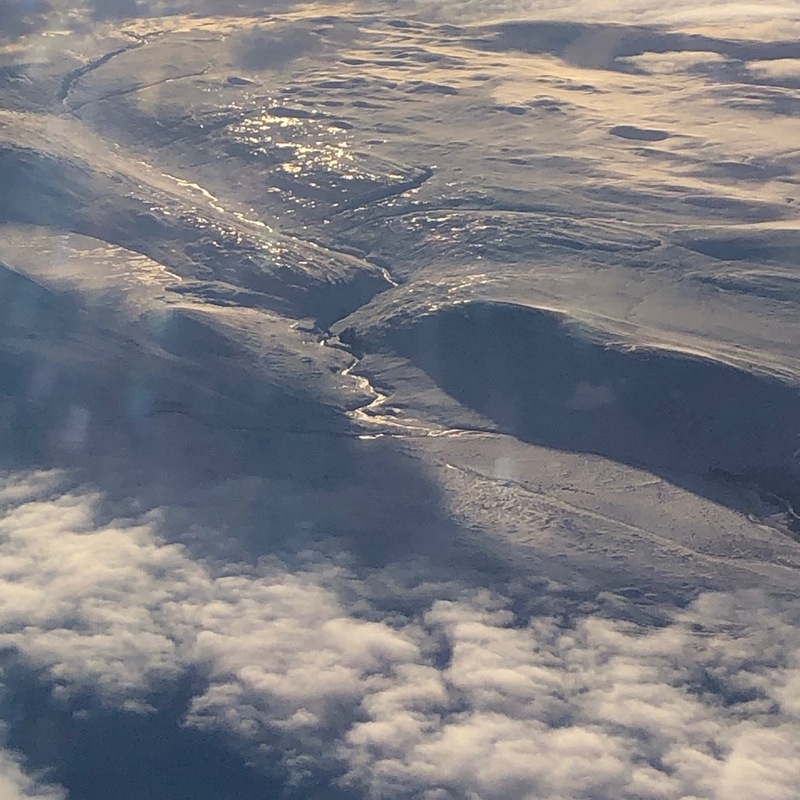 I started researching and discovered that recently new flight routes have been launched to Akureyri, opening it up to more visitors, but in reality it already had a strong infrastructure in place for tourists and there was lots to see and do. But it was all new to me, and I was like a kid at Christmas. I knew nothing – least of all how to pronounce the place! 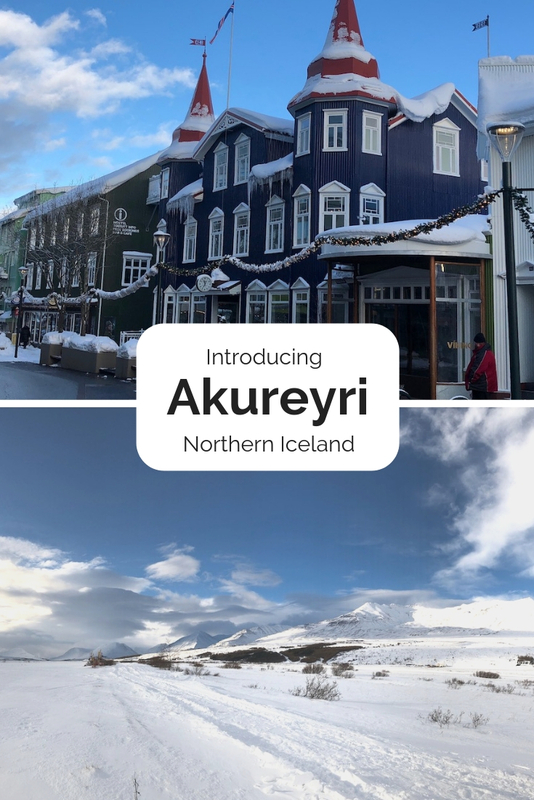 So before I delve into the town and all it has to offer, let me share with you some Akureyri fast facts that I learnt before I headed out. 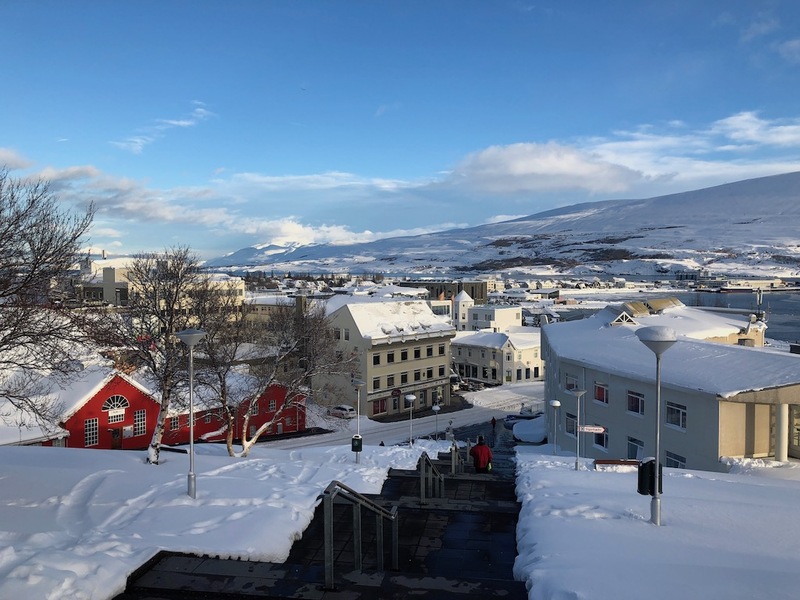 Akureyri is pronounced Ak-ure-rey-rhi – or as we endearingly called it for short, Akkers! Akureyri is 62 miles away from the Arctic Circle and a 250 mile drive from Reykjavik. Eyjafjörður fjord is Iceland’s longest at 38.5miles in length. 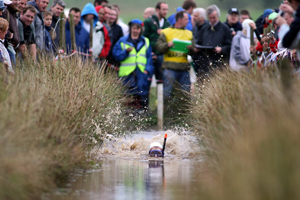 At it’s deepest it goes down to 200m. Akureyri is home to the world’s northernmost 18-hole golf course and botanical garden. It may be the second biggest town in Iceland but Akureyri is still quite small and compact. 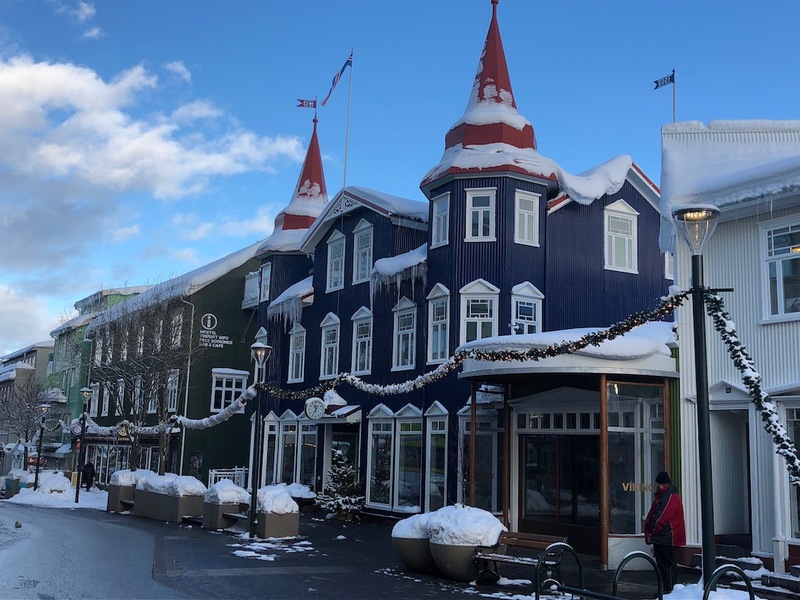 It started off as a tiny harbour town, which is the area now known as Akureyri old town – full of wooden houses painted all the colours of the rainbow. The oldest there is Laxdalshus, which was built back in 1795. This is a beautiful area to visit, as its home to several of the town’s museums. Also, no matter the time of year you’ve got to stop at Brynja’s for ice cream, as its one of the oldest shops in Iceland! Follow alongside the fjord and you’ll come to the downtown area. Here are the two main streets of Hafnarstraati and Skipagata, where you can find cute little cafes and restaurants. As the town began to expand the only way to go was up, so there are several steep hills, which I did find tough. But in return you get some amazing views. One of these hills is on Kaupvangsstræti, which is also known as Art Street. This is because it’s home to the Akureyri Art Museum, School of Visual Arts and many artists’ studios and galleries. I have to say I hadn’t been this excited about a trip for a long time. This was great though as I found pleasure in the smallest of things throughout my visit, starting before I’d even left the plane. The airport was so small, and the air so cold that staff only let you off the plane in small groups, ensuring you get inside the tiny ‘airport’ straight away and are not left out in the cold. This made me chuckle, as did the fact that passport control was just a little shack with two local policemen inside. Then there were the giant icicles. These teetered on the edge of the airport’s roof and all the passengers wanted to get pictures of these glass-like giants. I soon discovered icy beasts like this would adorn the majority of buildings in Akureyri, but no matter how many times I saw them I never stopped thinking how beautiful they looked. And well, I couldn’t stop pointing things out to Justin throughout the trip – that house, that view, that statue… I was surrounded by so much beauty. 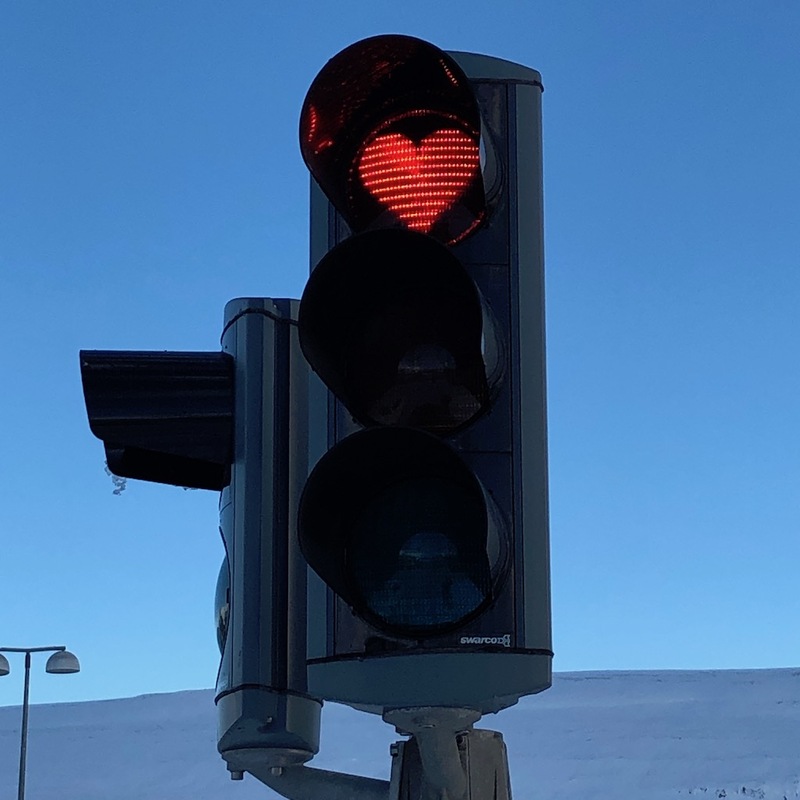 It was the little touches too – for example all the red traffic lights in Akureyri are heart shaped. Cute! Our hotel was on the outskirts of town and one of the highlights each day was the slow stroll we took both into and out of the town centre. 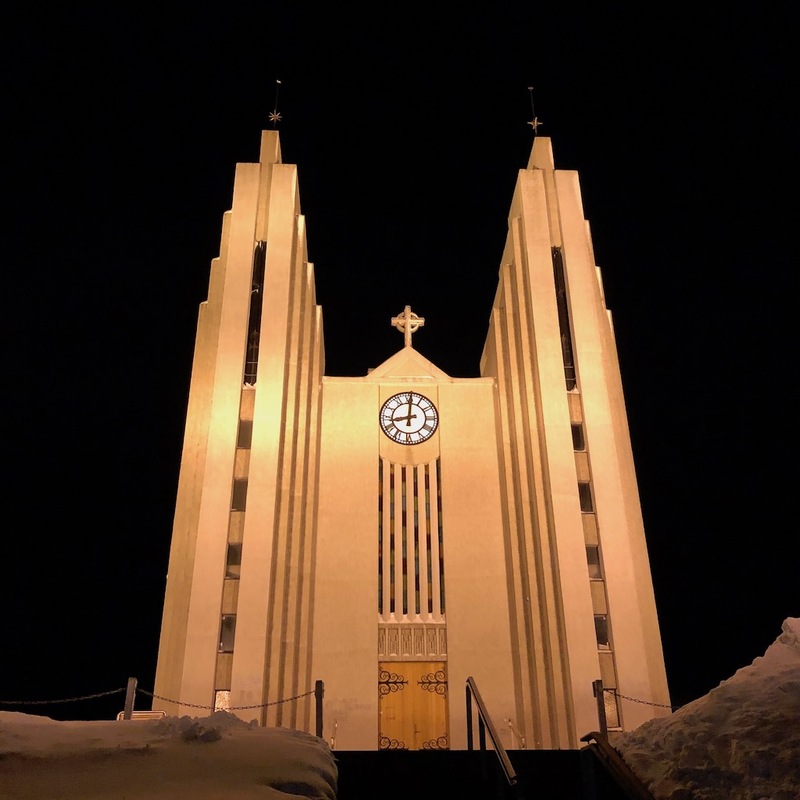 We would walk past some of the richer town houses, the snow covered botanical gardens and the old college before arriving at Akureyri’s iconic church. Perched on one of the town’s steepest hills it proudly looks down over the town centre and something truly special to see, especially when lit up at night. The houses too – as almost everyone decorates their gardens and houses in fairy lights. It made the whole town feel magical at night, like Christmas lasts all winter. And in a way it does, as on the edge of town you’ll find Jólagarðurinn – Christmas Garden – where Christmas lives all year round. This fire engine-red house looks like something from Hansel and Gretel and inside you’ll see Christmas decorations from all over the world. There’s also a fairytale tower you can climb, where you can see the world’s biggest advent calendar. Quirky, but cool. 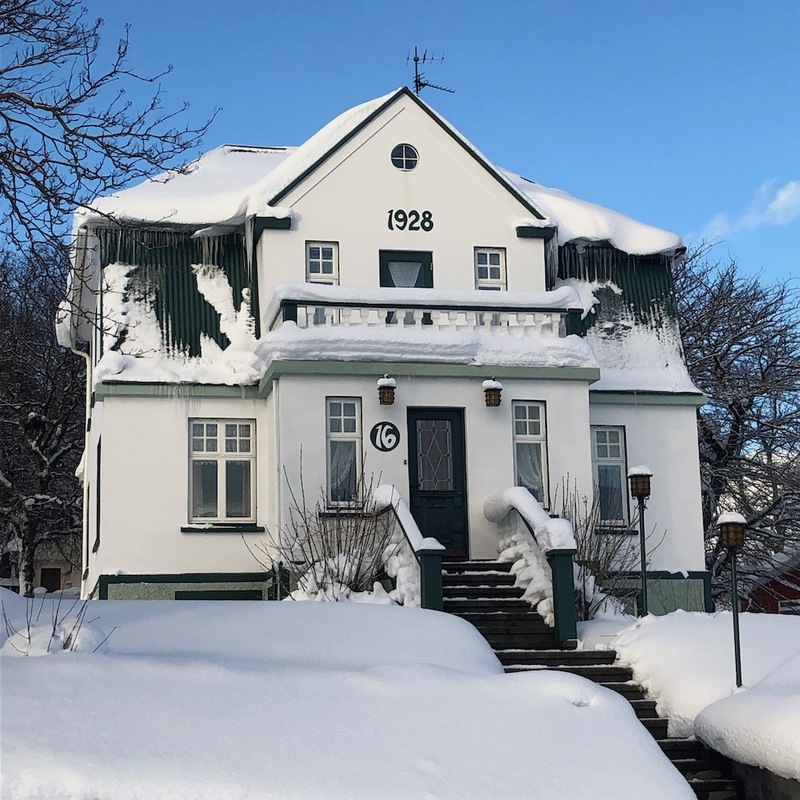 Akureyri has a lot to offer visitors: outdoor adventures, cute cafes and restaurants, museums galore – which I’ll cover in future posts – but I couldn’t go on without mentioning the people of Akureyri. I don’t think I’ve ever gone anywhere so welcoming. Everyone we met in the town, whether tour guides, hotel staff, shop owners or just locals out and about, were kind and friendly. We’d get waves, hellos and offers of help or tips wherever we went. It was a truly heartwarming welcome to Iceland and has given Akureyri a special place in my heart. They were great for sharing stories about the town and it’s history too – for example one of the stained glass windows in the church actually originates from Coventry Cathedral. True fact! Supposedly during the war some of the windows were taken down and put into storage for protection and these went missing, presumed stolen. 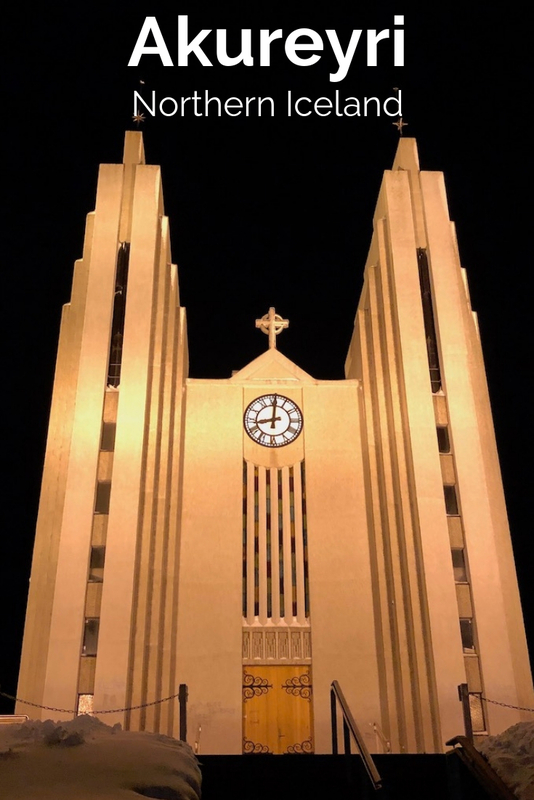 Years later one of these turned up in a shop and was bought by the architect building the Akureyri church. Its origins were unbeknownst to him at the time and it was only later that the window’s original home came to light! 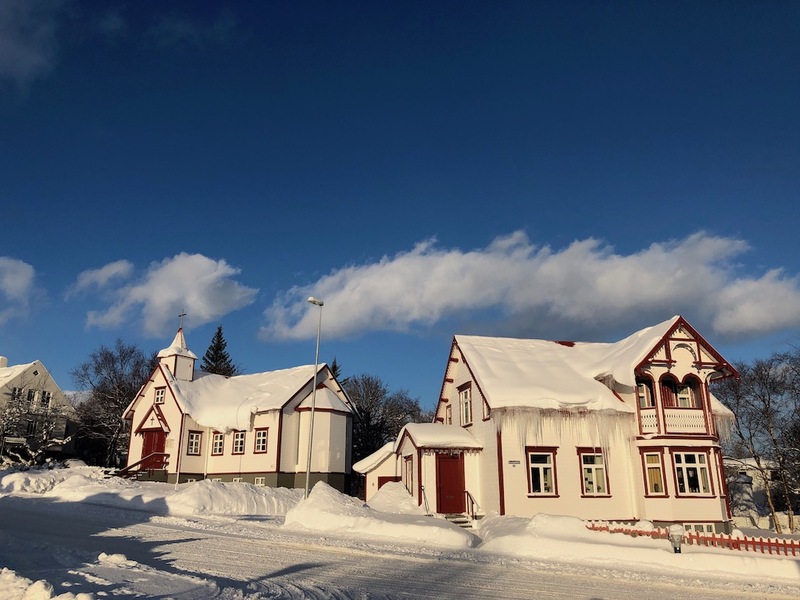 We visited Akureyri in February, when it was a true winter wonderland. There’s so much to do during the winter months that I’d highly recommend it – during our weeklong stay we only really touched the surface. 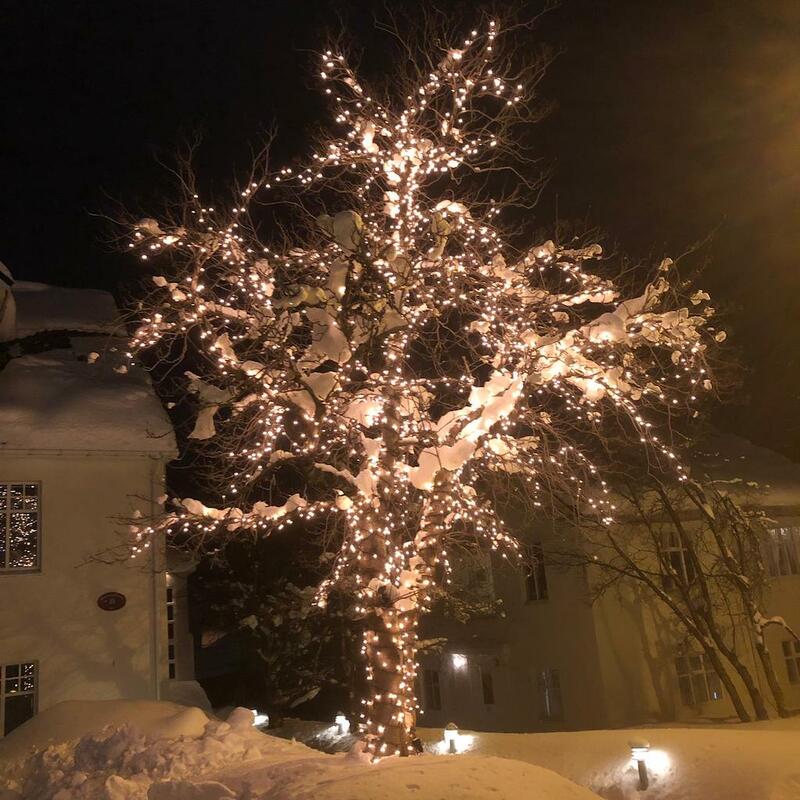 However, Akureyri offers something whatever the season, with different activities and events taking place throughout the year. For example in winter there’s husky mushing, skiing and a chance to see the Northern Lights, while in summer you can go hiking, experience the midnight sun or even go and see the puffins nesting on nearby Grimsey. Then there’s the many things you can do all year round, like visit Akureyri’s many museums or go whale watching on the fjord. I definitely plan to go back one summer to experience a completely different Akureyri, but I’d also like to return during the winter as there’s still so much I didn’t get to see and do. 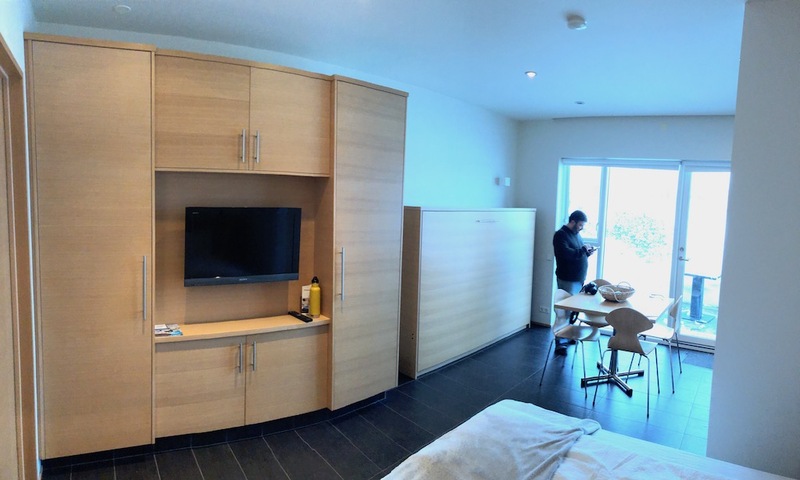 Akureyri has quite a few hotels for its size, so visitors are spoilt for choice. 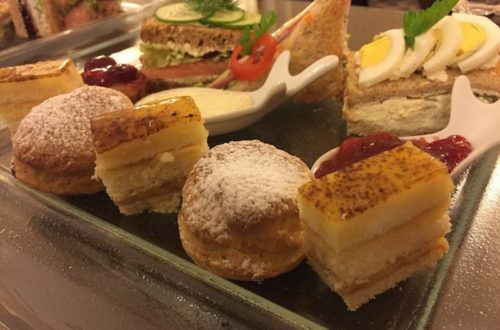 One of the biggest and most modern would be Icelandair Hotel Akureyri, which I only visited for afternoon tea. Outside it looks quite bland, but inside it’s really pretty, warm and welcoming. We stayed at Salehus, which offers guests a range of houses and apartments, and loved it. 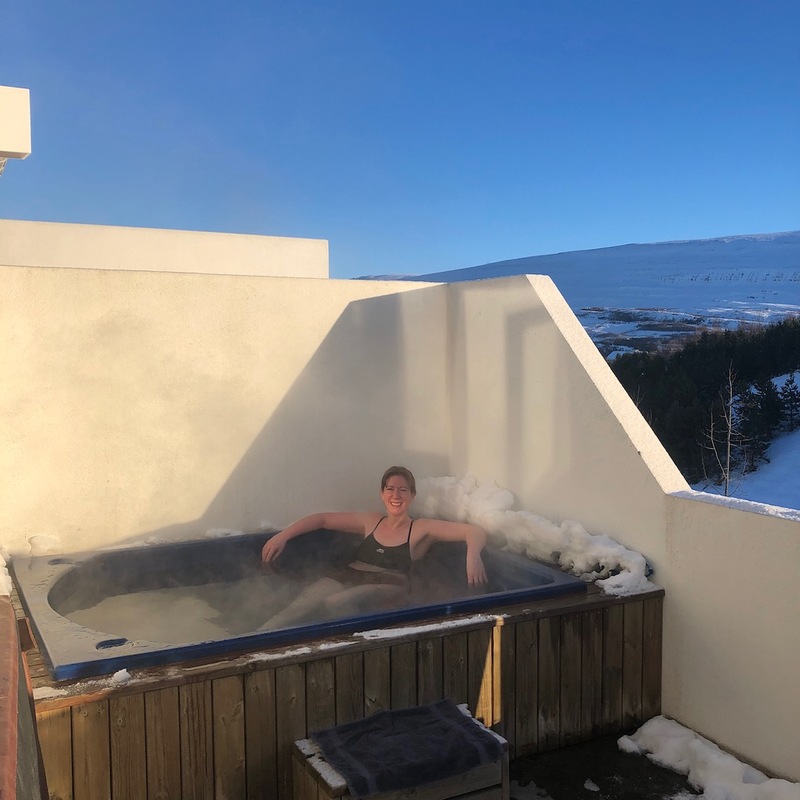 Our apartment was specious, with all mod cons, a powerful shower, heated floor, dining space spacious kitchenette and a balcony – with a hot tub. It’s slightly out of town (a ten min walk, or free bus ride away) but we thought it was wonderful and would definitely book there again. Akureyri can be tough to get to directly. We travelled directly via a Superbreak package, which included chartered flights and hotel. Another option is to fly into Reykjavik and travel onwards from there. 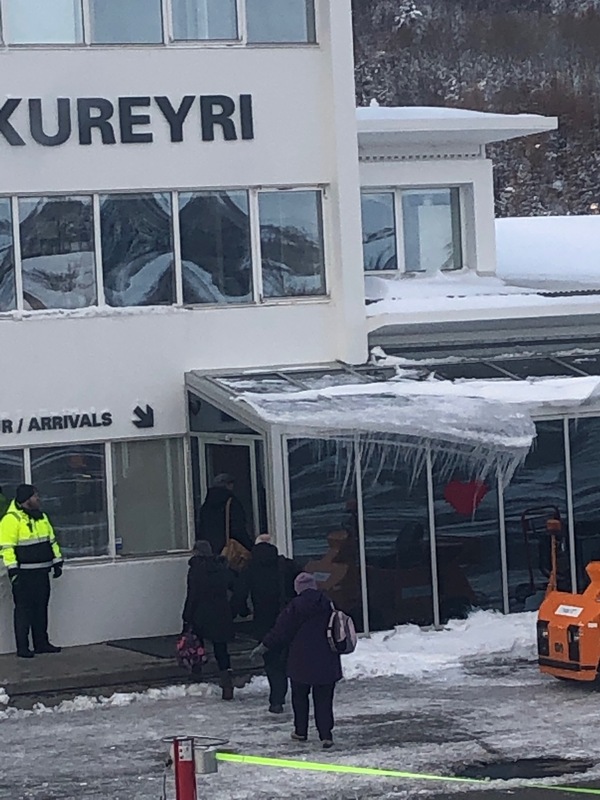 An internal flight to Akureyri with Air Iceland takes 45 minutes, or you can hire a car and take a four-hour drive to the ‘Capital of the North’. 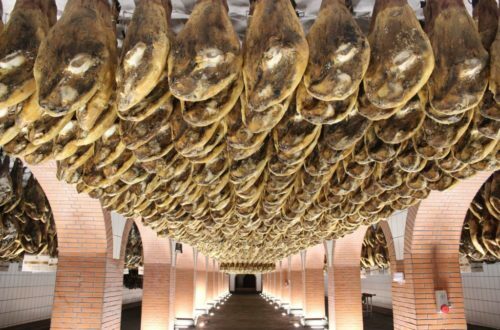 Andalucia for food (and knowledge) lovers! Oh I hope you make it there, it’s such a beautiful place! Oh wow, what an amazing experience. Any other Icelandic towns you recommend we visit? I’d definitely like to go back and see more of Iceland, I’m totally smitten! Not so much a town but 2 areas that few visitors go to…the Westfjords and Westman islands. Both incredible. Spot on Nicky. I think that’s one of the reasons I personally enjoyed it so much. What a great little find you’ve introduced the world to. We love Iceland and Akureyri looks like a nice alternative city. It was amazingly good value for Iceland, I’m sure we paid about $350 for a sandwich near Landmannalaugar. Ha ha! I did find the prices there tough, but thankfully the cheap cost of the trip itself made things balance out! It made the whole trip even more special Clare! It was really amazing Hilary, one of those stand-out trips for sure.